*Make sure to review all product images and diagrams along with cross-reference information to confirm that this is the pump you need. If any questions please contact us by email or phone. 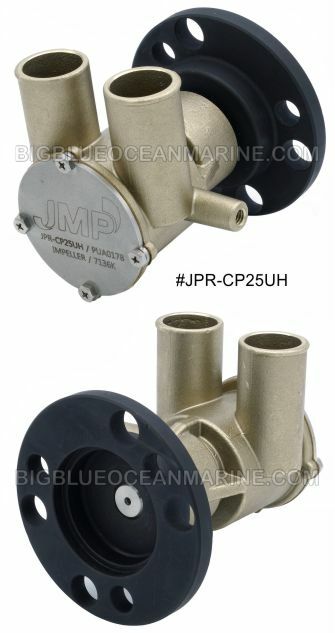 Click the button below to add the #JPR-CP25UH JMP Marine Replacement Crank Mounted Engine Cooling Pump (Replaces Jabsco 50410-1201, Johnson 10-24930-01, 10-24805-01, 10-24076-2, 10-24228-1, 10-24915-01, Sherwood P105, NL 25-11030, VP 3860703 & More, RA057023, RA057024, RA057026) to your wish list.